I am an Italian architect, now living in Germany, with passion for architecture, design, attractive shapes and warm atmosphere. I have spent the last 25 years working as a freelance and parallel I have always looked around, here and there, curious about things, objects, art, and people. Maybe because of that I am a passionate traveller, I am addicted to discover the world, with all the amazing differences that it has inside. The passion for design has led me here today, to offer you an open "window" on the fascinating world of Jewellery. I personally chose the collections you see in these pages. 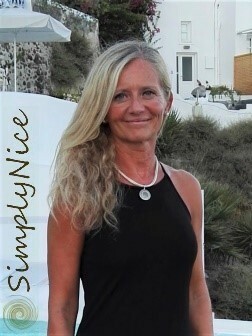 Quality, fairness, fair price and beautiful design are the common features that bind the Simply Nice Jewellery. and I hope you will join me in this special experience.